Head over to Best Deal Magazines and check out Taste of Home Magazine. Pick up a one year subscription for $5.40 when you use the code TASTE at checkout. This makes a GREAT Mother’s Day gift! Wrap the most recent issue and let your mom/grandmother know that six more will come this year. Head over to Best Deal Magazines for a look! This is an EXCELLENT Groupon in time for Mother’s Day. Pick up a $50 certificate to Coldwater Creek for only $25. If the store lets use use it on sale items, shop that rack for the best savings. Expires July 1, 2011. Limit 1 per person. Limit 1 per visit. Valid in-store and online. Not valid for orders under $50. New to Groupon, sign up HERE first. How Does Groupon Work? It is often hard to find Willow Tree Figurines with sale prices. Even the Will Tree Nativity Sets is full price during an off season! Currently they have the Willow Tree Mother and Son Figurine at 37% of with a price of $20.34. The Willow Tree Mother and Daughter Figurine is $19.12 form $27. The Willow Tree With My Grandmother Figurine is regular price at $27.03. I also love the Willow Tree The Quilt Figurine for $27.88. This is great and just in time for Mother’s Day. Find more Willow Tree Figurines products on Amazon. Well NOW is definitely the time to get your Mother’s Day Cards! Yesterday, I shared how to get the FREE Shutterfly Mother’s Day Cards. You can also get a $30 credit by transferring your Photoworks Photos. Now Tiny Prints is back with thier $.99 Mother’s Day Cards with FREE shipping. Use promo code AFFMDAY at checkout. Do not forget the FREE membership for the greeting club which comes with three FREE greeting cards and 50% off greeting cards for a year! Head to Tiny Prints or Shutterfly for a look. 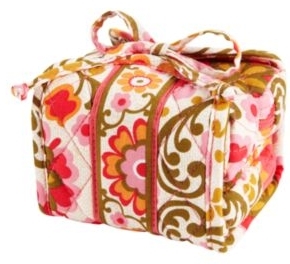 Head to Vera Bradley Today Only for an awesome sale on Aprons, Jewelry Boxes and All-Wrapped-Up Jewelry Rolls – $15 each! Shipping adds about $7-8 but the items come nicely wrapped and ready for gift-giving. Spend $75 or more and get FREE Shipping – Consider combining sales with a friend or family member! Find More Mother’s Day Deals at Frugal Coupon Living. Shutterfly is offering a FREE 5×7 Greeting Card, 5×7 Stationary Card, OR 5×5 Stationery Card with the coupon code MOMCARD at checkout. Shipping does make your total $.99 but that beats the store price you would pay to pick up Mom a personalized Mother’s Day Card. Coupon code is good through Thursday, April 28. If you don not have your photo ready, at least enter the code so it is in your account. 1.) Head over to Shutterfly – new accounts get 50 FREE 4×6 prints. 2.) When signed in, click on “My Account” on the top right. 3.) Go to Special Offer Code and enter code MOMCARD. When you come back to check out, pick up the 5×7 card and use click apply it to your order during checkout. Don’t forget the FREE $30 Shutterfly Credit for Transferring your Photos from Photoworks. Just in time for Mother’s Day, Flirty Aprons has a nice sale going on. Get 60% off Marilyn Style Aprons (including Mint-a-liscious, Strawberry Shortcake and Sugar n’ Spice) with code MARILYN60 or 20% off ALL aprons 20M2011. The coupon codes are good on sale prices too! Head to Flirty Aprons for a look!